A few weeks ago, I published a post that was primarily a report on a meeting of the Center for Strategic and International Studies (CSIS) on small modular reactors (SMRs). As I was completing the post, I came across a publication by the Institute for Energy and Environmental Research (IEER), an openly anti-nuclear organization, that reiterated some of the same points made in the CSIS presentations, and added others. I did not try to do a complete review of the IEER piece, which raised other issues as well, but simply noted that it had just been published and that it seemed to raise some of the same arguments. My point in summarizing the CSIS meeting was not to endorse those views, but rather to point out that, for the first time, people are beginning to look at SMRs analytically. In some cases, the voices we are hearing are from responsible organizations that are seriously trying to anticipate problems better than we have done as a society in the past and to address them at the outset rather than scrambling to fix them later. In other cases, anti-nuclear groups who have, perhaps, been caught a little by surprise at the traction SMRs have been getting, are now mobilizing to attack this new vision of nuclear power. Since I only came across the IEER article at the last minute, I mentioned it solely to note that it raised some of the same safeguards and security concerns that were raised during the CSIS meeting. I meant to come back at some point and explore some of the other concerns the IEER raised, particularly about cost and safety. Fortunately, Charles Barton beat me to it, and on his blog, has provided a number of counterarguments to the IEER positions. Since he is more of an expert than I am in this area, I'm quite pleased to have his analysis available to cite. He specifically addresses the IEER arguments on safety, pointing to historical records of safety performance of past and existing small reactors, novel safety measures in some SMR designs, the evolution of safety measures and practices with operating experience, analytical reasons for having or not having containment, and the experience of the airline industry in mass manufacturing and safety. He also takes on the IEER assertions about SMR costs, noting that they have been selective in their arguments, as well as their claims about SMRs and waste, pointing to the benefits of some of the advanced fuel cycles, particularly Liquid Fluoride Thorium Reactors and Denatured Molten Salt Reactors. There will surely be much more said about all these issues before a plant is ever built, but it is good to start getting both sides of the arguments out on the table early. The long-standing debate over Yucca Mountain has recently taken a new turn, with action by the Nuclear Regulatory Commission to shut down its review, and objections by Members of Congress and others to that decision. Articles in the press and elsewhere have detailed most of the issues, including views on the legality of the action and the confrontation it is causing within the Commission. Among the actions reported, former NRC Commissioner Kenneth C. Rogers has written to the Commissioners and the NRC Inspector General on this matter. His action appears to be related to a recent article he co-authored. Whenever issues such as Yucca Mountain are debated, it is a good idea to recall the history of the issue. The article that he co-authored does so. Therefore, I'd like to take this opportunity to step back and report on that article. 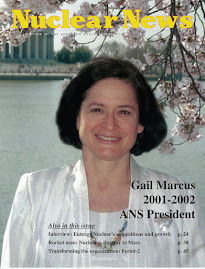 Specifically, the fall issue of the National Academy of Sciences publication, Issues in Science and Technology, carries an article on Yucca Mountain that is well worth seeking out in a library, if you do not have a subscription. (Because it is a subscription publication, I can't link to it.) Co-authored by Luther Carter, Lake Barrett, and Ken Rogers, the article lays out systematically what the issues are and what they think needs to be done. I will not try to recap all the points made in this article. I will simply note that it covers a number of important points in the long and convoluted history of the Yucca Mountain program, from the early days where three sites were being characterized, to the recent decision by the Administration to terminate the program. It also looks ahead to the decision the NRC needs to make and the role of the Blue Ribbon Commission in addressing waste issues. 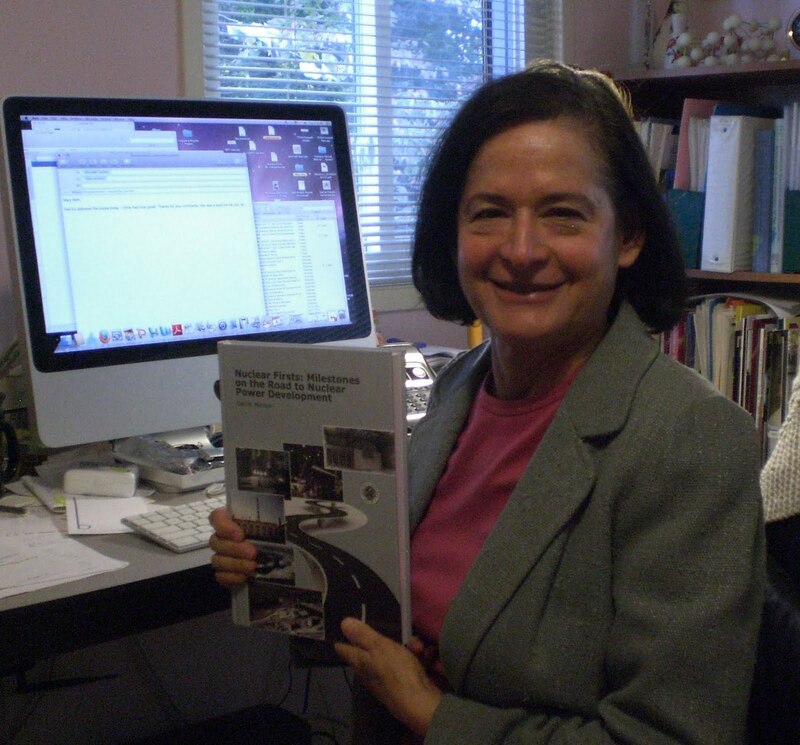 The authors have done a considerable service in putting together this history and analysis of the issues and past actions. Despite the fact that many of us have been following this issue for years, pieces of the story have gotten lost over time. For example, most of us know that the Nuclear Waste Policy Act of 1982 called for the characterization of 3 sites, but that the 1987 revisions to the Act narrowed the scope to just one site, Yucca Mountain. The lore that has built up over this decision is that the State of Nevada was not politically powerful at the time. This may in fact be true, but the article indicates that decision was also based on the results of the first round of studies, which had identified the Yucca Mountain site as superior to the other two candidates. On this basis, they conclude that "a more tentative or contingent congressional choice of Yucca Mountain would almost certainly have survived an impartial technical review, so in our view the hasty adoption of what soon came to be known as the 'screw Nevada bill' was as unnecessary as it was politically provocative." 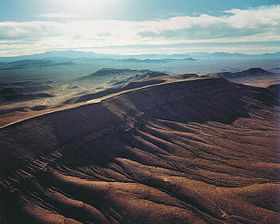 The authors conclude by expressing great concern over how "the reputation of the NRC as an independent, trustworthy overseer of the civil nuclear enterprise" may be affected by the way it acts on this matter and expressing the hope that they "reassert the NRC's dignity and independence by upholding their own Yucca Mountain licensing board." I hope that the points made in this article will be well publicized as the debate proceeds. Several news items in recent weeks have reported that John Ritch of the World Nuclear Association has organized a design contest to come up with a more attractive design for a nuclear power plant. He asserts that "Many plants look little more inspiring than a 100-year-old flour mill. We can and should do better." He may have a point. I sometimes think I am hearing as many objections to the appearance of the industrial facilities that we depend on as to concerns about health or safety. Certainly, we have seen that people object to windmills marring the unspoiled crests of mountaintops, or the dramatic expanses of ocean. No one likes the look of power lines crossing the landscape. And whenever someone wants to write an article with an anti-nuclear bias, they illustrate it with a photograph of ominous cooling towers casting their shadow over the land, despite the fact that cooling towers are not unique to nuclear power plants. This concern over appearance is not limited to energy sources. My husband, Mike Marcus, is an expert in wireless telecommunications policy, and he finds that one of the major objections to the cell-phone towers we on which we have come to depend to connect us instantaneously and everywhere in this wireless age is the fact that they are, frankly, ugly projections sticking up in our suburban landscapes. Some have tried to disguise the towers in the form of fake trees, which somehow never seem to match the native flora of the area. Mike has called for a similar contest to design more attractive cell-phone towers. Beauty, of course, is in the eye of the beholder, and I know as many people who think windmills are beautiful as I know who think they mar the landscape. Nevertheless, most people, given a choice, will pick the unspoiled shoreline over the one with cooling towers and buildings with pipes jutting out. And yes, many will succumb to NIMBYism--these things are OK, but not where I can see them--but most, I think, will agree that, whenever possible, a less intrusive profile is better. Now, I don't think anyone thinks that appearance is the only issue. People will continue to worry about safety, particularly for nuclear power plants, but also for cell-phone towers, high-power transmission lines, and most of the other infrastructure that supports the services that society wants and needs, but whose presence they don't want to see or acknowledge. So, solving the problem of appearance is not the only need. Still, I recall an old ad that said, "Good taste costs no more." There is no reason why much of our infrastructure needs to be quite as unattractive as some of it is. If designed right from the beginning, many facilities could be made more attractive for minimal additional cost. And in the case of nuclear power plants, some of the options on the table for future designs might actually work hand-in-hand with efforts to make the sites more attractive. Plants that can be sited underground and plants that need no cooling towers automatically remove some of the visible evidence of a plant's existence. There is still a need for other infrastructure above ground, but the visible footprint should be smaller and less intrusive. So I wish John Ritch and the World Nuclear Association well as they engage in this new effort to develop more attractive nuclear power plant designs. For those wishing to enter the contest, the contest rules indicate that the deadline for submissions is December 1. Finally--a reminder that my new book is out. See my earlier post for details, or click on the link to the right to order. I have been holding my breath for several weeks now. 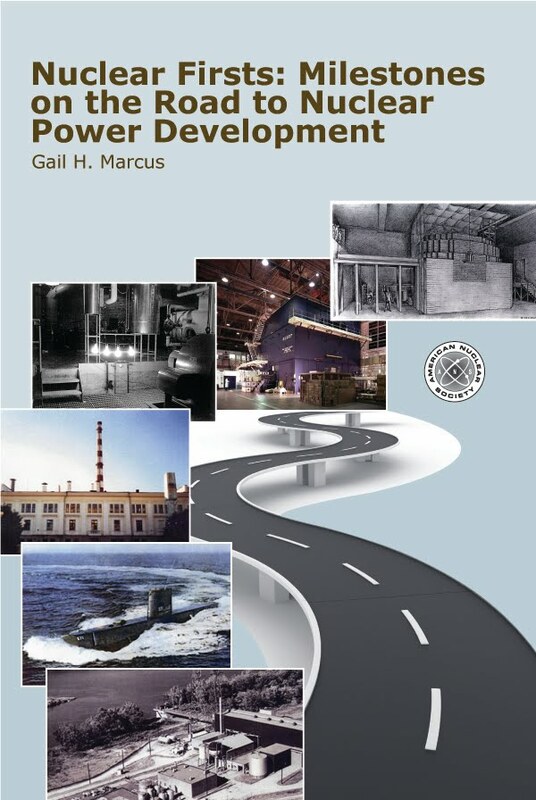 My first book, Nuclear Firsts: Milestones on the Road to Nuclear Power Development, was due to be published. I have just received the first copies, so I can finally exhale. While there have been many histories of nuclear power, most focus on the weapons program and the larger-than-life personalities that helped initiate the nuclear age. In approaching the history this way, a lot of nuclear developments and breakthroughs get short shrift. 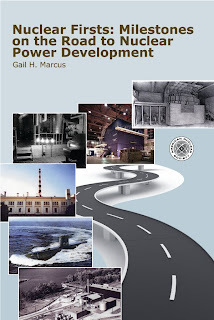 This book tries to tell the history of nuclear power primarily through the stories of the many technological developments. Writing the book has turned out to be a revelation for me for me in more ways than one. I really thought I knew what most of the "firsts" were, but as I probed, I found more and more firsts. Ultimately, what I thought would be a couple of dozen "firsts" turned into a list of about 80. Some facilities and events that I have always thought were firsts have proved not to be. 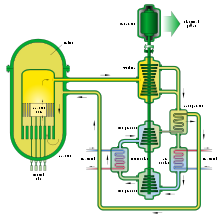 There was a demonstration that used a reactor to produce electricity (albeit only a tiny trickle of 1/3 watt) several years before the 4 light bulbs were lit by the EBR-I in 1951. There was a reactor that put power on the grid in the Soviet Union before it happened in the United States in 1955. There were several small reactors connected to the grid in the United States in the year before Shippingport, a "large" reactor for its time, began operation in 1957, as well as another "large" reactor that began operation in the United Kingdom. I was equally impressed by the number of important dignitaries of their day who presided at key events such as dedications of nuclear facilities. I was able to get photographs showing kings and queens and US Presidents dedicating new nuclear plants, and even a Pope discussing a new nuclear organization with its founders. I could say much more, but perhaps the rest is best left for readers to discover for themselves. The book can be ordered by clicking on the icon in the column on the right of this page. For those who have a further interest in history (as I seem to have these days), I have also done some research on the history and accomplishments of the OECD/Nuclear Energy Agency, where I used to work. A review draft of my findings is available. While both the book and the report are correct to the best of my knowledge, in both cases, there are some gaps in the records I was able to find. If anyone has corrections or additions, I will incorporate the them in future versions, if any, of both the book and the report.